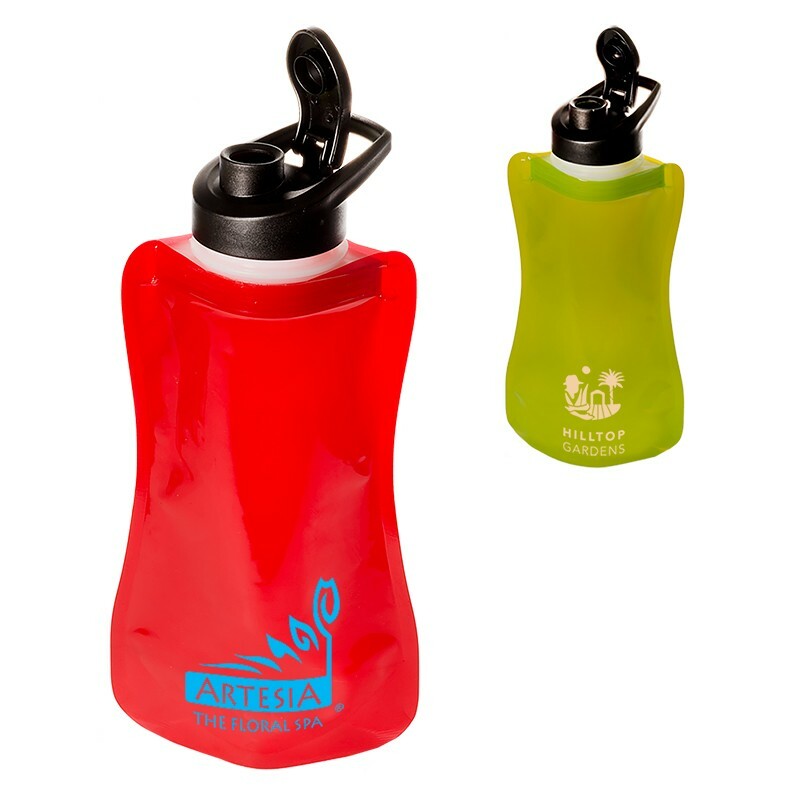 Reusable water bottles Stands like a bottle! 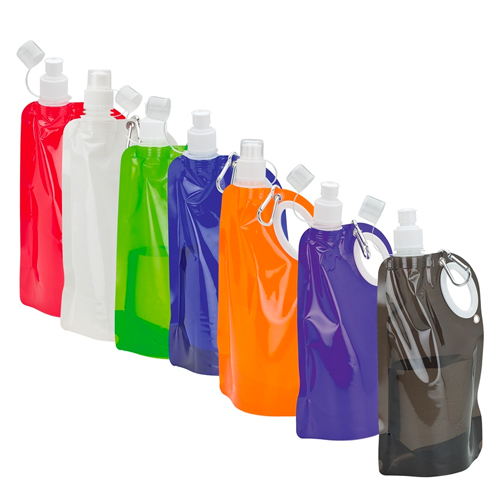 Folds, rolls or flattens when empty. 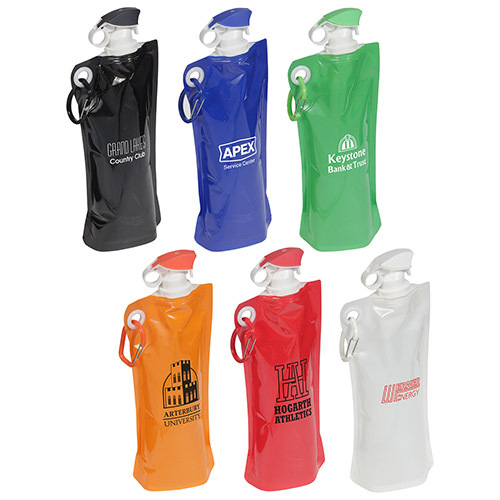 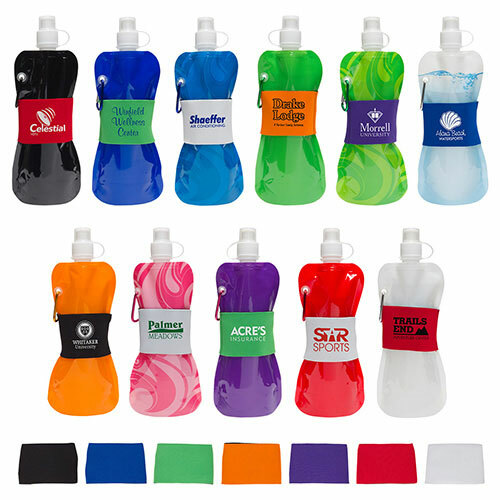 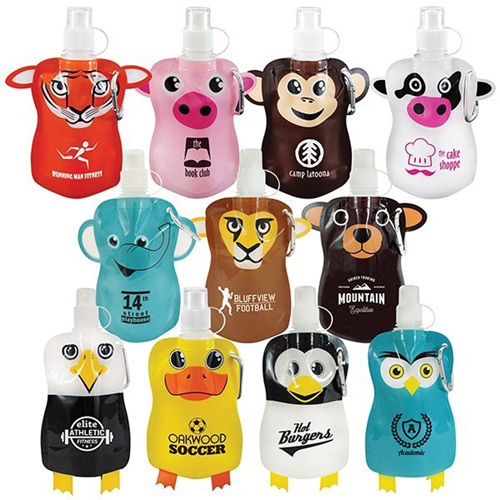 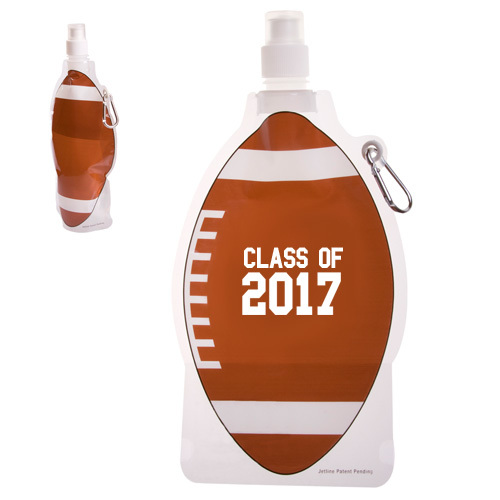 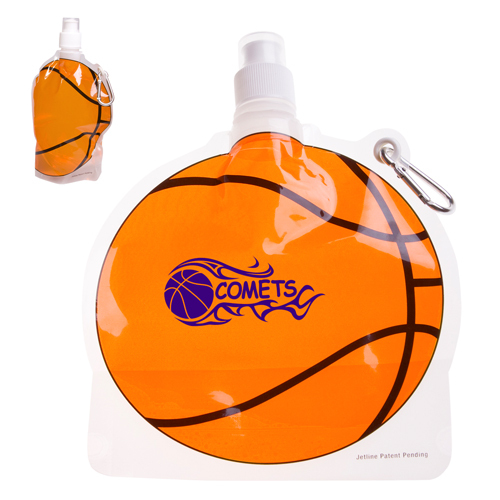 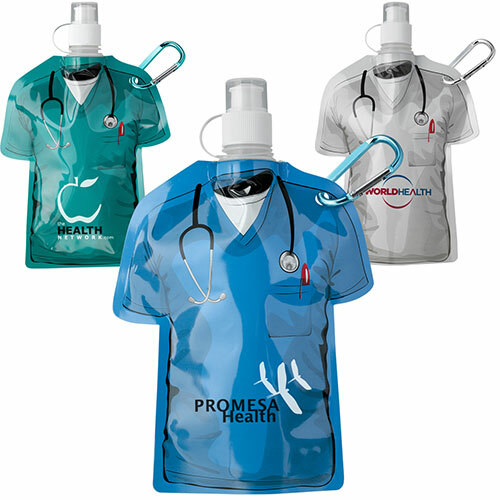 Garrett Specialties line of custom foldable water bottles are great for travel, trade shows, working out at the gym, hiking or any outdoor sport. 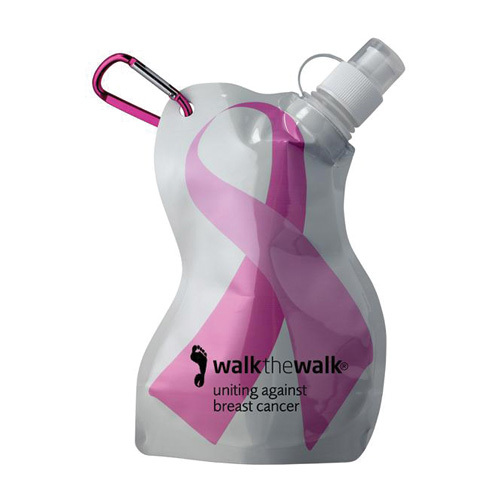 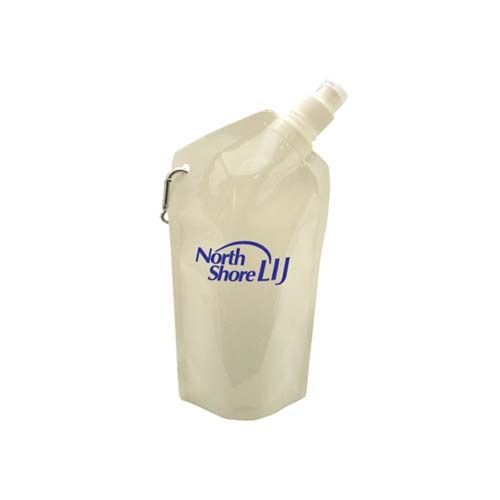 Custom Collapsible water bottles are made with the convenience of portability, this water bottle lays flat to conserve space. 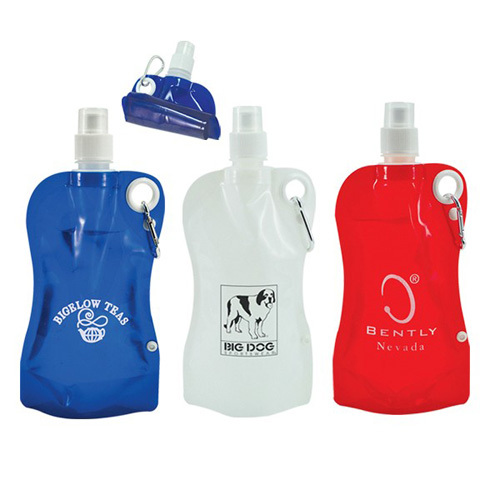 Just fold-n-go, add to your purse, backpack, or any type of bag. 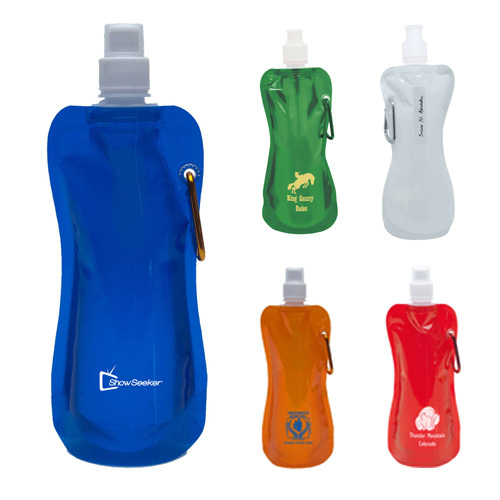 BPA-free water bottle, made of foldable, bendable plastic that means bottle can be smashed and easily stored away when empty and stands like any other bottle when full. 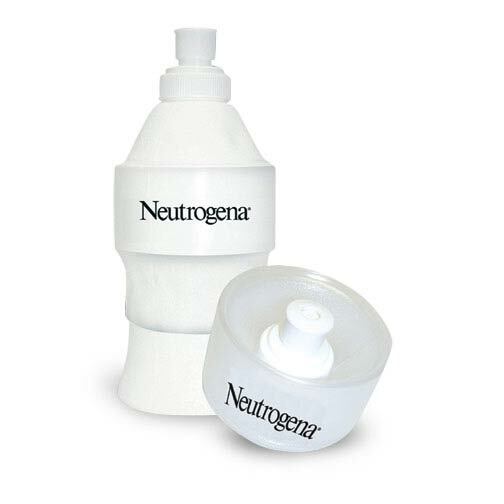 At the airport and don't want to buy a $5 bottle of water? 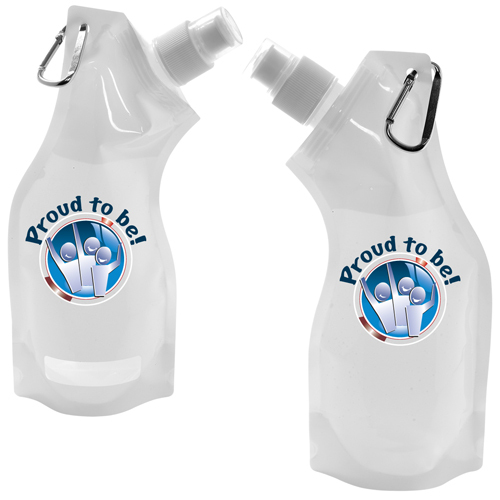 This item is perfect for you. 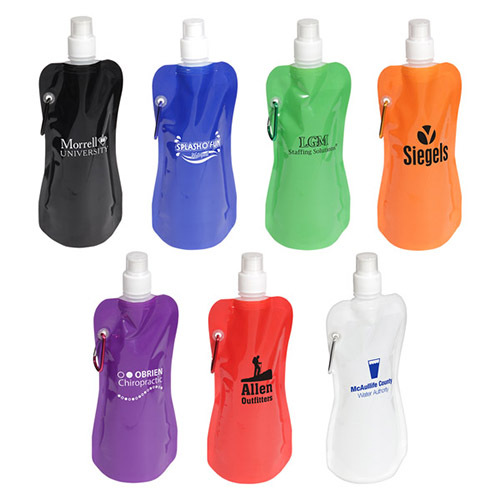 Our collapsible water bottle is portable, packable, low-profile, and light. 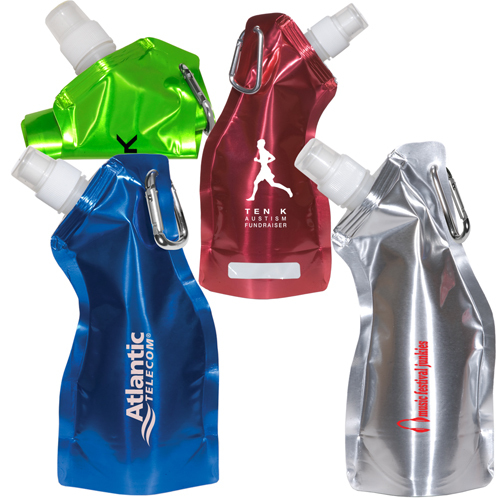 Some of our collapsible water bottles in a carabiner that perfectly hooks onto backpacks or bags. 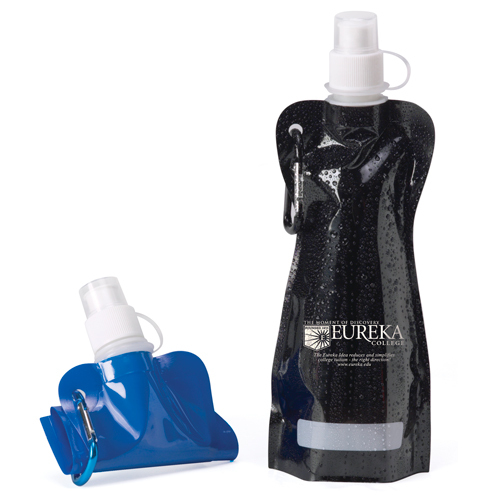 Bring this collapsible bottle while hiking, to the beach, camping, to the park, maybe even the buffet. 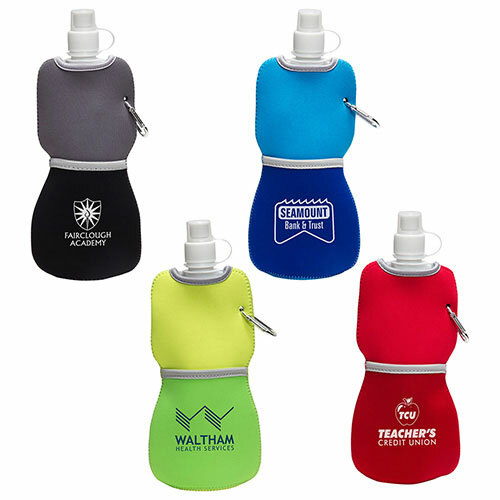 Market your brand to those who love water. 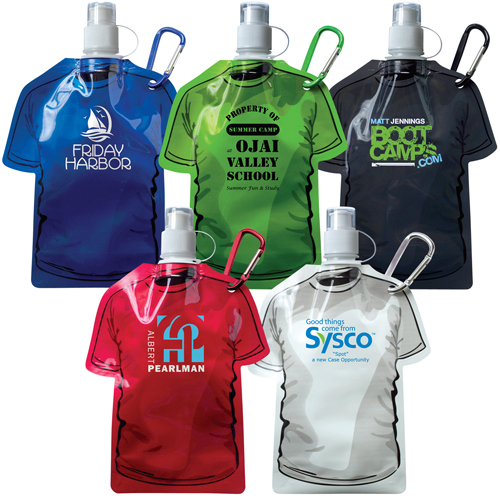 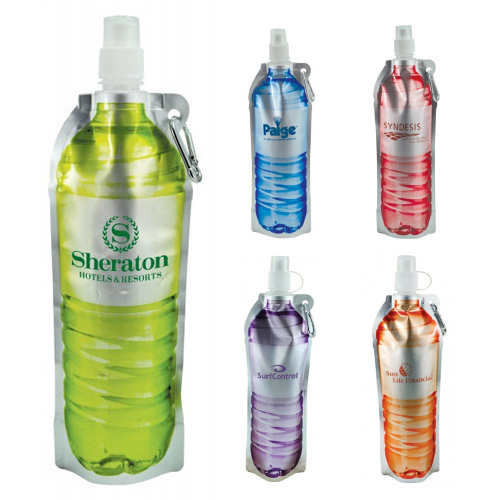 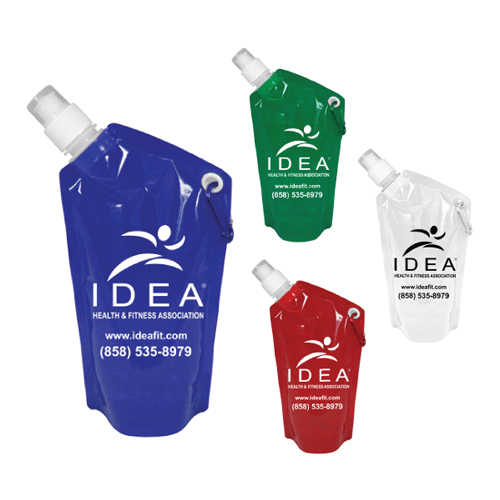 View our foldable reusable water bottles. 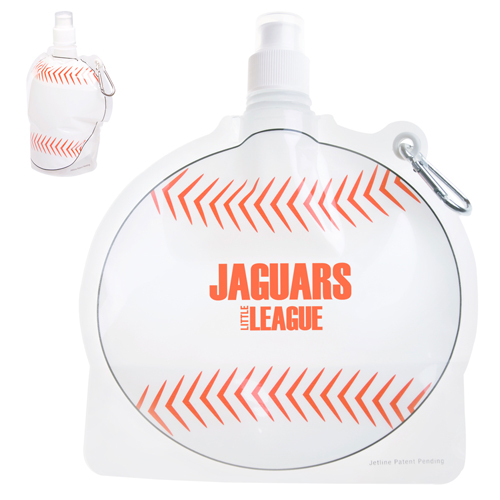 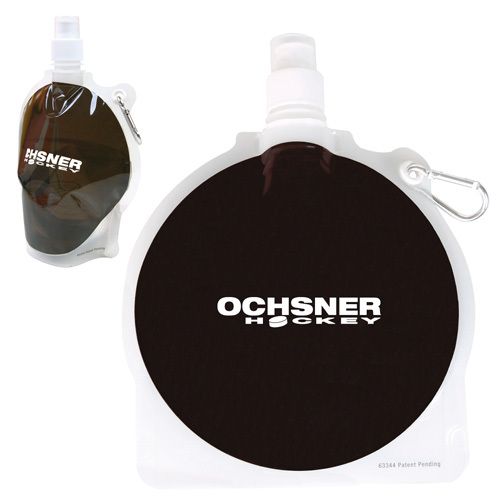 Baseball Collapsible Water Bottle - 24oz.